One of my favorite places to shop for home decor is At Home. 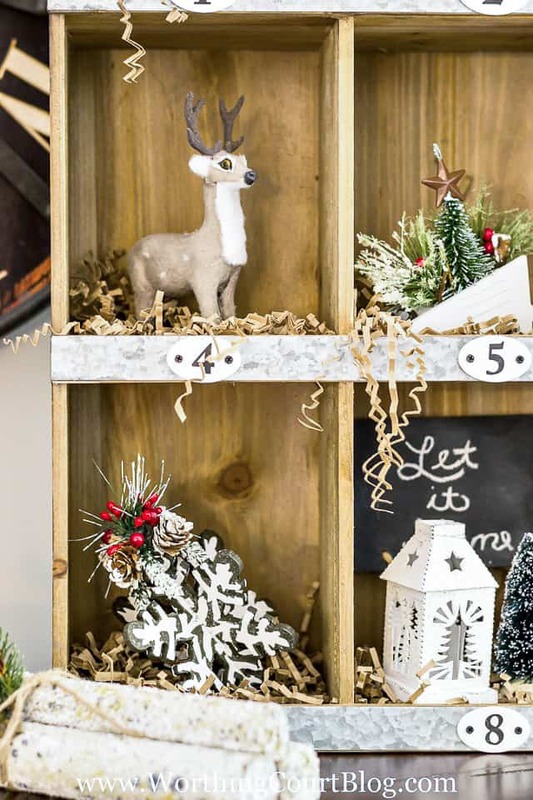 It’s one-stop-shopping for designing every room in your house all year long, but it’s especially fun at Christmas! Plus, their everyday low prices can’t be beat! I couldn’t wait to get started with my Christmas decorating this year and was excited to use my cubbie organizer on the sideboard in my kitchen. 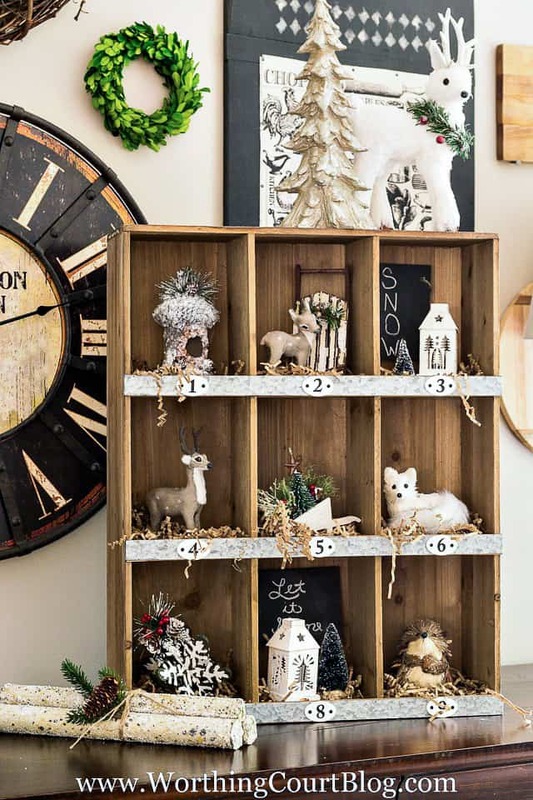 I knew that I wanted to fill it with all sorts of woodsy and rustic Christmas goodies and that was so easy to do, because At Home has their decorations organized by theme. They have fifteen different themes in all that cover everything from dining to ornaments. There’s always so much to choose from that I have a hard time making a choice! 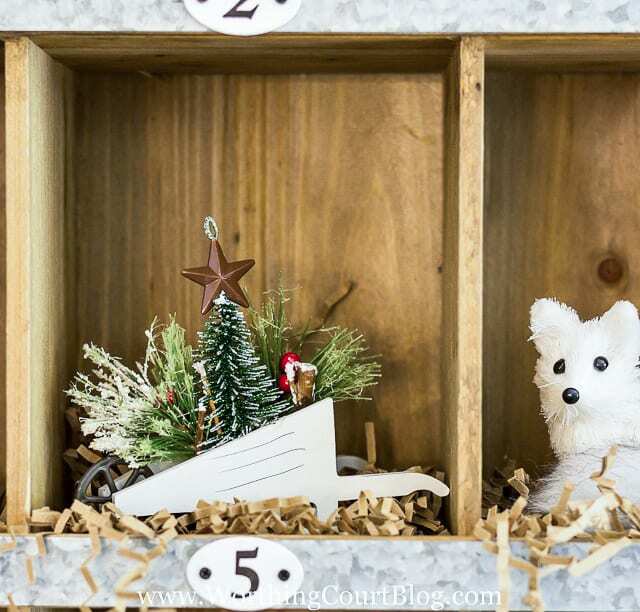 I mixed and matched Christmas tree ornaments from three different themes of the At Home Christmas Decor to fill my cubbie organizer – Forest Fairy Tales, Holiday Hoedown and Snowcapped Scene. The ornaments are the perfect size for the cubbies and the shredded brown paper makes nice filler. 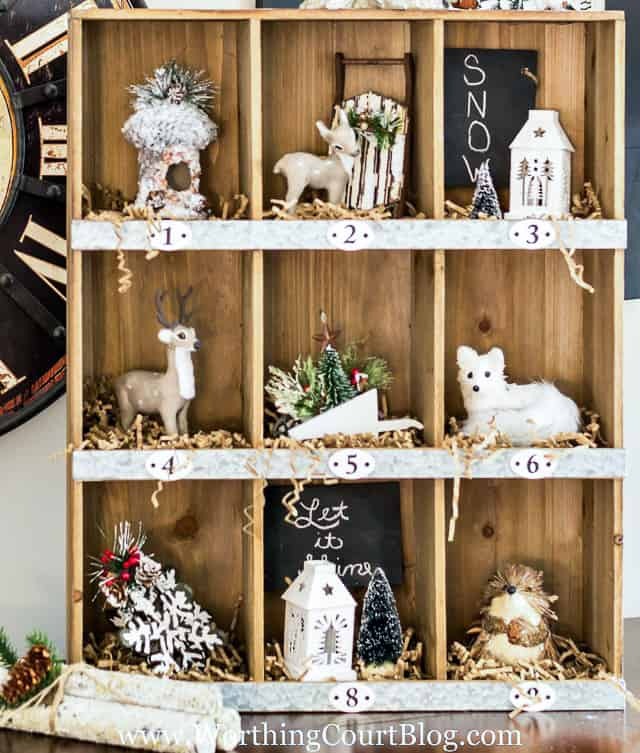 I can’t say which ornament is my favorite, but I do admit that I was swooning on the adorable white mini lanterns! Walking into At Home during the Christmas shopping season is sure to put you in the Christmas spirit. 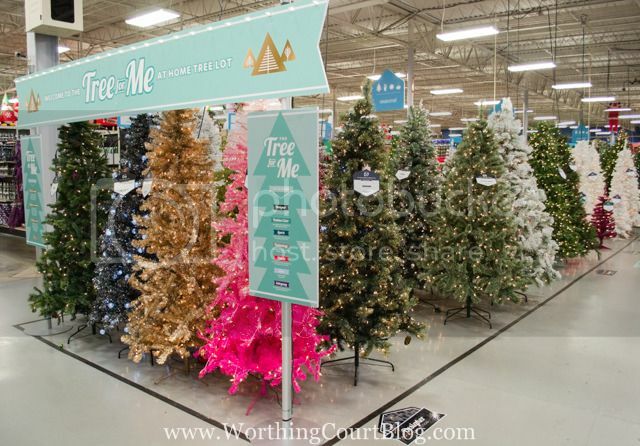 They have 101 varieties of artificial Christmas Trees to select from, available in all sorts of sizes and colors. I fell in love with the ombre style pink one in the front corner. 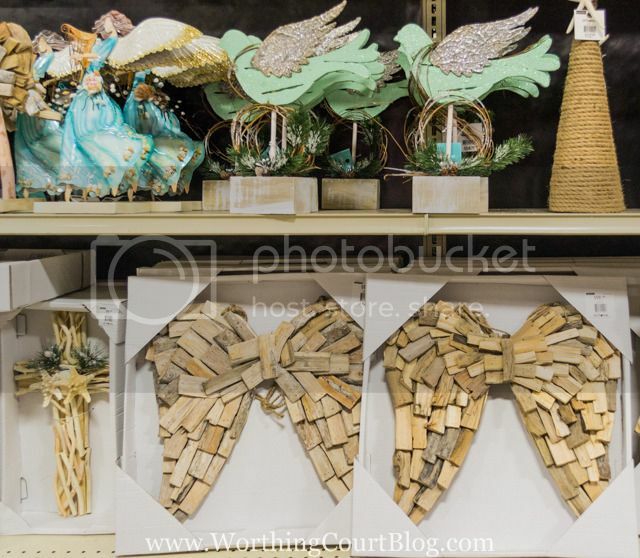 The store is a veritable Christmas wonderland – no other store matches their wide variety of decorations. I visited their Holiday Home Scoop Style page for inspiration before actually going to the store. It provided lots of inspiration and gave me an idea of what each of the themes consisted of. A Christmas trees and ornaments aren’t all that At Home sells. 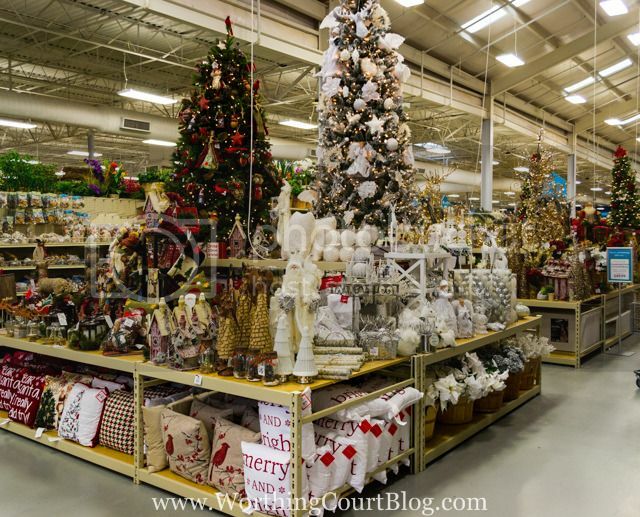 The store is enormous and has Christmas pillows, greenery, wreaths, garlands, yard decor and anything else Christmas related that you can think of. 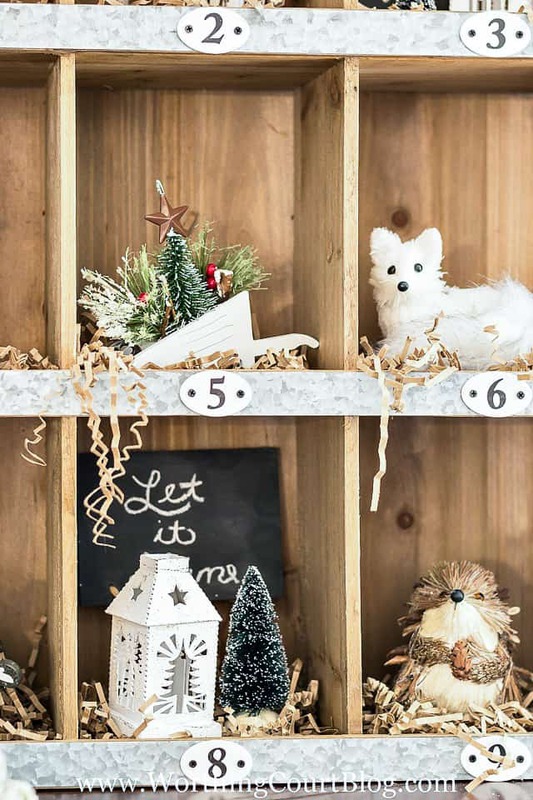 Which At Home Christmas theme would you choose? Hopefully you’ll get to take a field trip soon, Donnamae! I love shopping at At Home. I love this idea! I have a couple of soda crates with sections that would work great for this. Pinning!